Sun Forest Construction is Central Oregon's premier Design, Build and Remodel firm. Having worked with over 5,000 home owners since 1977, employee owned Sun Forest Construction offers hundreds of years of cumulative experience and expertise. We have developed an efficient team-orientated process that improves communication and enhances project supervision. As our customers will attest, from site consultation to the final inspection, our team is here to seamlessly bring all of the components of custom home building together--resulting in a building experience that is truly unique. boxwell design + build is a boutique firm proudly operating on a referral basis in the Portland Metro area as well as Central Oregon (Sisters/Bend/Black Butte Ranch/Redmond). We provide our clients with an excellence of quality construction services, project management and workmanship. Our strict code of work ethics consists of giving our clients the trust they deserve, along with the personalized attention that can make construction a pleasant experience. Our team of professionals (in house or sub contractors) are carefully chosen in order to assure a high standard of service and the best workmanship to ensure a superior finished product. At boxwell design + build, we utilize a team approach that encourages the participation of the contractor, designer & owner. This team approach results in better communication and creates a smoother design, building or remodeling process that directly relates to success in all of our projects. We at Ochoco cabinet And Door are a small business and have been around Central Oregon for 26 years. 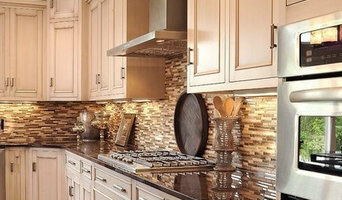 Are crew will provide you with quality Cabinetry throughout your entire home. We are dedicated to detail, meeting schedules, and have exceptional customer service, a long with keeping it affordable. Without compromising the unique quality craftsmanship or materials being used. We work with General Contractors, Architects, Interior Designers, and Homeowners. Come visit us or give us a call today for an appointment and free estimate! We look forward to making your home something you can talk about and enjoy for years to come. For more than 35 years, Re-Bath® has helped homeowners convert worn, outdated bathrooms into beautiful new bathrooms with quality remodeling services. We believe that a remodel doesn't need to be a messy, expensive headache. Since our inception, we've pioneered an entirely new concept — to quickly and efficiently remodel your bathroom and shower with minimum disruption to you and your home so you can bathe in luxury. Renovation Concepts Construction, Inc. is a General Contractor that specializes in DISASTER RESTORATION REPAIR and REMODEL services for clients through out Central Oregon. 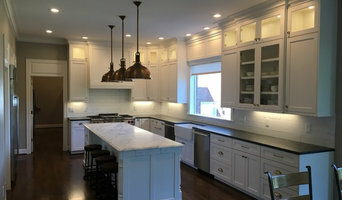 Renovation Concepts Construction, Inc is known for excellence in client service, craftsmanship, and has the knowledge/experience to stay within budget. We have become a Hardwood Flooring Contractor of choice due to our high level of craftsmanship and hardwood selection. Born in a small town in southeast Nebraska, I grew up on a farm and started working for a Home Repair Contractor. Soon after I worked in the roofing industry and also spent two years working for a House and Structural moving company. During this time I picked up many different trades along the way and on any given day I could be driving a Mack truck, welding steel braces or painting a house. I’ve always worked with my hands and strive to do the best job possible. After Moving to Central Oregon in early 2001 I worked for a local Remodeling company, and after a few years ventured out on my own, starting Dan Davis Construction. Our crew here at Dan Davis Construction are trustworthy, courteous and always working with a big smile on our faces. Now specializing in Painting and Tile, we serve our clients through quality craftmanship, honesty and hardwork. We would be happy to help with any of your painting and tile needs. Feel free to give us a call for a quote for quality work. THE BEST IN BEND, OREGON HOME REMODELING AND CONSTRUCTION CONTRACTOR SERVICES Welcome to Landon Construction, where integrity and pride in craftsmanship will always come first. We are an experienced, licensed, bonded and insured General Contractor (GC) located in Bend, Oregon providing excellent service and competitive pricing. 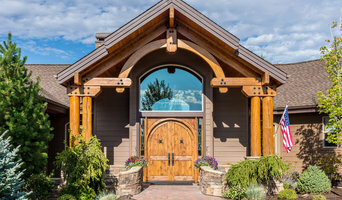 We are a full-service home remodeler, home builder, custom house builder, pole barn, decking and patio construction company with a big mission – to set the industry standard for quality craftsmanship and service for home builders in Central Oregon. Our expertise and relationships with manufacturers allow us to offer exceptional services at fair prices with your budget in mind. OUR BUILDING EXPERTISE: Ask us about any home remodeling, house building, or home improvement and construction project from outdoor renovation like custom decks to custom tile; bathroom remodeling to vinyl window replacement and installation; home additions and kitchen remodel or handyman services or whatever home remodeling and home improvement you have in mind. We have the expertise to execute every job on time, within budget, and to your complete satisfaction. We pride ourselves on going the extra mile on every project: big, small, residential, or commercial remodeling. We are fully insured, fully bonded, and absolutely committed to your satisfaction. We pledge to meet any special requests, to get the job done right the first time, and never add hidden fees to your bill. When you need the best home remodeling contractor or home builder in Central Oregon, you can count on Landon Construction. From the foundation to the roof, we've got you covered. We make beautiful bathrooms. We have natural stone products, as well as acrylic shower products in 13 different stone colors. Our products are incredibly durable and almost completely maintenance free. And they carry a limited lifetime warranty. 40yrs of building of single family homes and remodeling from complete make over to bath remodels, always blending design and materials to be compatible with existing decor. What does a Black Butte Ranch kitchen and bath remodeling expert do? Licensed Oregon kitchen and bath remodelers are contractors who specialize in altering the structure of an existing space, rather than building one from the ground up. Because he or she must deal with a previous builder’s work, the job can get more complicated than new construction. You might wonder why they often specialize in both kitchens and bathrooms, but if you think about those two spaces, they actually have a lot in common. Kitchens and bathrooms include an abundance of fixtures that require careful planning and installation, including sinks, faucets, tubs and toilets that all need water hookups and drainage. They also use similar materials, such as tile and stone for countertops and flooring, due to the nature of their use. 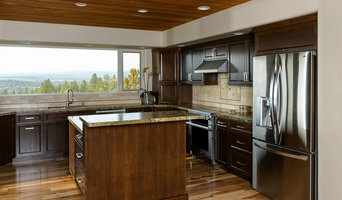 So it makes sense that Black Butte Ranch kitchen remodelers and bathroom remodelers be one in the same. A bathroom or kitchen remodeler translates architectural plans from page to reality; some are also trained to provide design services so that you don’t have to hire a separate pro. Like a general contractor, a kitchen and bathroom remodeler in Black Butte Ranch, OR is responsible for hiring and supervising subcontractors and providing materials when necessary. They also should have a thorough knowledge of Oregon building codes and construction-related legal issues, as well as current design and product trends. Here are some related professionals and vendors to complement the work of kitchen & bath remodelers: Woodworkers & Carpenters, Kitchen & Bath Designers, Interior Designers & Decorators, Architects & Building Designers, General Contractors. Find a Black Butte Ranch kitchen and bathroom renovator on Houzz. Narrow your search in the Professionals section of the website to kitchen and bathroom remodelers in Black Butte Ranch, OR. You may also look through photos of Black Butte Ranch, OR spaces to find kitchens or bathrooms you like, then contact the bathroom or kitchen remodeler who worked on it.